Next Chapter Booksellers | Live local, read large. Common Good Books has a new owner and a new name. Long-time St Paul resident and customer Nick Ballas has purchased the bookstore. We are now Next Chapter Booksellers. Over the next few days and weeks, you’ll see some changes at Next Chapter Booksellers--a new name, new logo, new paint--but you’ll always find great books and helpful booksellers. Stop by soon and say hello to the newest book lover on the staff here. We can’t wait to show you what we’re up to. 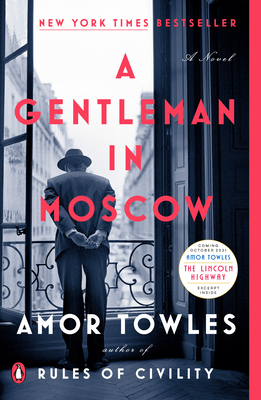 We've loved Amor Towles' charming novel A Gentleman in Moscow since it was first published. It's atmospheric, transporting, and engrossing in all the right ways. Our one quibble? There wasn't a paperback edition. If you've put off reading this lovely book, wait no longer. The long-anticipated paperback edition will be published on March 26. Preorder your copy now, then schedule a vacation day so you can enjoy this glorious Russian treat. Enter to win a "Book Club in a Bag"
Get a jump on finding your book club's next great pick. Enter to win an advance copy of The Secrets We Keep. At the height of the Cold War, two secretaries are pulled out of the typing pool at the CIA and given the assignment of a lifetime. Their mission: to smuggle Doctor Zhivago out of the USSR, where no one dare publish it, and help Pasternak's magnum opus make its way into print around the world. The Secrets We Keep will be published September 17, but you can read it early. Stop by the bookstore in March for details. We love all our books, of course, but we can’t help loving some of them just a little bit extra. Here, then, is an idiosyncratic list of our favorite books of the past year. 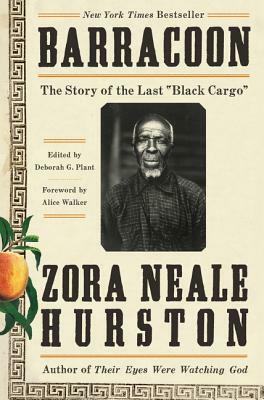 As I tell everyone that picks up a copy of anything written by Zora Neale Hurston, she was the entire reason that I majored in Anthropology in college and this work here explains exactly why. The first renowned black woman to be an anthropologist Hurston displays a new methodology of study that has created new avenues for anthropologists of color that preserve the parts of history that might have been lost under the washing of white supremacy. The use of the subject's dialect was the controversial aspect that prevented this ethnography from being published initially but humanizes the victims of the Trans-Atlantic Slave Trade to showcase the traumatic impact of being stolen into slavery. A must read for more reasons than I'm given space to display here. 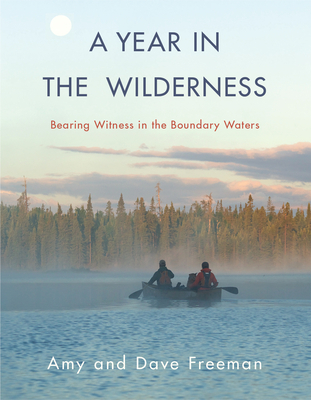 Here’s a book that manages to combine a good adventure story with stunning photographs while doing the important work of calling attention to the imminent and very real threat of proposed sulfide mining at the edge of northern Minnesota‘s Boundary Waters Canoe Area. To increase public awareness of the relentless efforts by foreign companies to allow copper-nickel mining in the watershed of the BWCA, the Freemans spent an entire year traveling there by canoe and dog sled. Their book is a labor of love; it invites the reader along on their fantastic adventure, provides context for the environmental issues at stake, and powerfully illuminates the need for preservation and stewardship of natural places. It will be a welcome addition to the libraries of wilderness enthusiasts everywhere. Pretty sure you have never read a book like this. Think George Saunders meets Ta-Nehisi Coates set in a dystopian near future a la 'Black Mirror'. 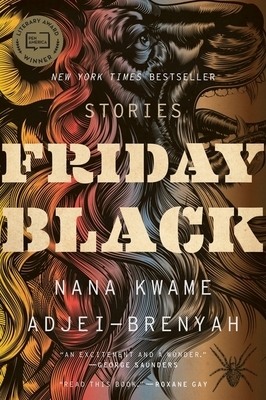 The surreal short stories in this collection from newcomer Nana Kwame Adjei-Brenyah, present a powerful indictment of racism, consumerism, classism and other social ills in funny, strange and horrifying ways. Sometimes you laugh, cry and are sick to your stomach all on the same page. Kind of like the holidays. 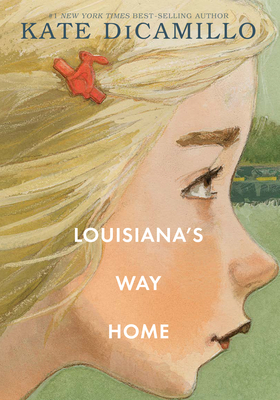 Kate DiCamillo’s newest book, Louisiana’s Way Home, reconnects us to delightful and complicated Louisiana Elefante with humor and compassion. As Louisiana searches for her long-lost family and her own true identity, old friends, instantly-loveable new acquaintances, and some mean people, too, help her realize just how beautiful the world really is and how forgiveness helps us discover who we are and what matters most. A story with hoots of laughter, a few scary bits, and heart and soul for kids and also for you and your book group. You just can’t make this stuff up! 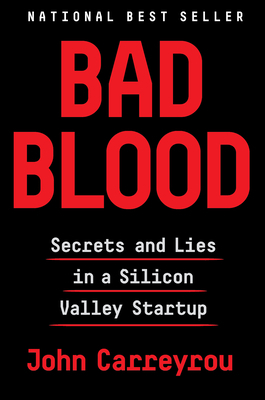 The Pulitzer Prize-winning author tracks the sensational rise and fall of the 2004 multi-billion dollar Silicon Valley biotech startup Theranos. The company’s blood testing device promised to revolutionize the field of medical testing. The technology never worked but before the false claims were finally exposed, founder Elizabeth Holmes kept money flowing into the company for 14 (!) years by seducing investors with promises of huge profits. Engrossing investigative reporting of fraud, deception, greed, and legal intimidation in one of the biggest scams in Silicon Valley history--it reads like a psychological crime thriller. An important book by one of the greatest of American artists. A never before published manuscript about a man who was one of the last slaves known to make the transatlantic journey. Powerful and necessary. Hurston's skill as an anthropologist, historian, writer, listener, and witness shows throughout. A vital book in the cannon of this important writer. Must read. Pancakes! Who doesn’t like pancakes? 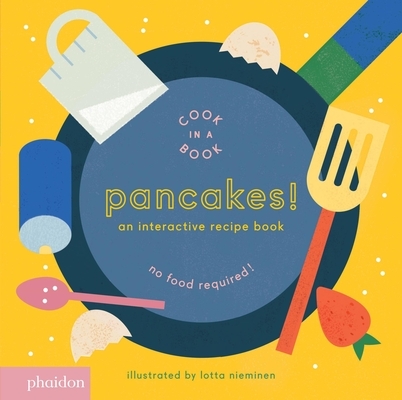 This interactive charming board book cooks up smiles and a trip to the frying pan. 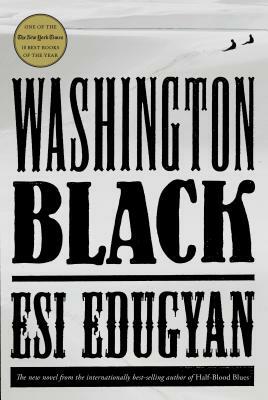 Washington Black is an expansive adventure novel in the Vernean mold. It’s a compelling commentary on the history of science, a history that too often writes out the contributions of researchers of color. Lyrical yet rooted firmly in the horrors of plantation slavery, epic yet deeply psychological, this novel will delight and challenge everyone from your precocious preteen to your history-buff great-uncle. Plus there’s a giant flying machine--- what’s not to love? This book bleeds beauty. 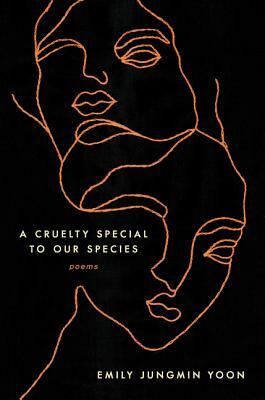 Emily Jungmin Yoon explores the female Korean body as it learns to expect and escape notions of “comfort.” She focuses on sexual violence, and through her wrenching language, she confronts a male history commodifying women. Michael loves Ellis, Ellis loves Annie, and Annie loves them both. 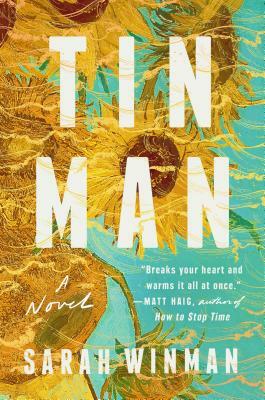 Yet Sarah Winman’s blistering novel Tin Man is anything but the usual love triangle. Instead, Winman asks us to consider what remains of love after its object is gone. She crowds this spare little book, set in London, Oxford, and the south of France, with vivid portraits of loss and mourning. At once terse and expansive, Tin Man is a firework flashing in the night--gone too soon but burned forever into the reader’s memory.